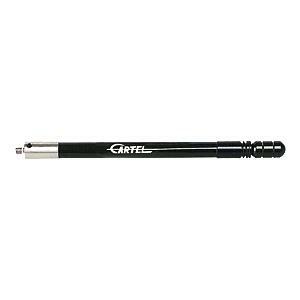 High quality stabilizer features a built-in shock absorbing end cap ring, and includes black end weights. High quality side rods features a built-in shock absorbing end cap ring, and includes black end weights. Aluminum flexible body shock dampers with shock absorbing end cap. Stabilizer will screw into a standard 5/16 threaded riser.